The Doctors: Cason Family Seventeen Kids & Plans For More Children? The Doctors spent some time with the Cason Family; they’re just your average American family, except for the fact that they’ve got 17 children! The Cason kids range in age from 24 years to two weeks, so mom Christi and dad Dave certainly have their hands full. 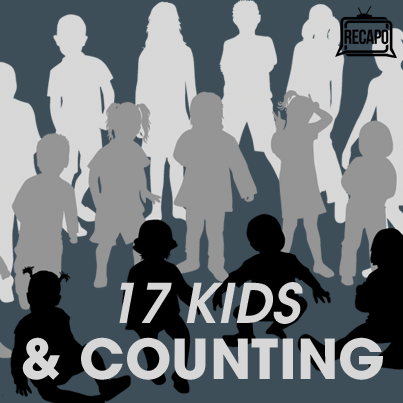 The Doctors spoke with the Cason Family about raising seventeen kids, household expenses, and disciplining so many children. As Christi explained to Dr. Rachael, having such a large family was never “a grand plan.” Each time they had one child, they would say, “let’s have one more!” Christi has been pregnant for approximately 165 months in total. Still, Christi claims she’d like to have one more child—not right away, but soon! We all know that children are expensive, and usually even families of three or four sometimes struggle to pay the bills. So how do the Casons do it? Christi said that their grocery bill alone is $1200 a month, with 16 of the 17 children currently living at home. With so many children, hand-me-downs are an inevitable part of life. The kids have all come home in the same outfit, a green onesie. Christi said that the first 16 children were natural, but after suffering a miscarriage, she used prescription medicine to help conceive their last child. Having 17 kids means never spending much time alone, and disciplining can often be a difficult task. Still, they find ways to manage, and their household is run with strict rules.